One of my earliest memories of music was hearing In The Ghetto by Elvis Presley in my grandmothers house back in the 1970s. It may have been on the radio but I know that my uncle was a big fan then so it might have been from an album. I have always loved story songs, ones that that have a narrative across their lyrics. It is a song that always made me sad. I think the story in it is so tragic because decades later we can still relate it to today's times. I think the line that always stood out for me was 'and his mama cries' which is repeated three songs in the song and most powerfully at the end. There are only twenty lines in the entire song and it shows the quality of song-writing both music and lyrics in the 1960s. It was written by Mac Davis and recorded by Elvis in 1969. It would become one of the most successful and famous songs of his career. Mac Davis also wrote A Little Less Conversation which was a hit years after Elvis's death when a remixed version was released. 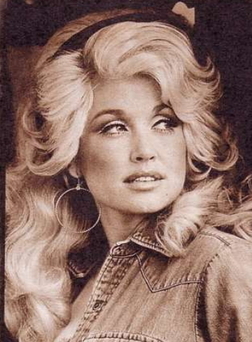 I can't remember when I first heard Dolly Parton's version of In The Ghetto but it is a perfect song for her to cover. She completely captures the mood of the song, you believe every word of the song. 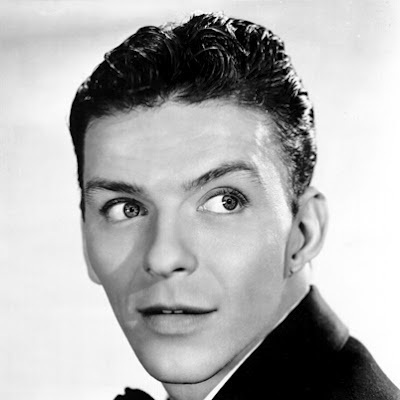 The other day I watched an hour long television show that featured songs performed by Frank Sinatra over his career. They were from very early in his career up to the 1960s. Some seemed to be from films or recorded on film sound stages but most seemed to be from television shows. It was an amazing collection of performances that summed him his star quality, talent and his voice and proved to me that he really was one of the greatest stars of all time. One song that I thought was especially gorgeous was his version of I See Your Face Before Me which he sang on Once In a Lifetime which was a Judy Garland television special that she did with Dean Martin and Frank as the special guests. It was recorded in February 1962 -- fifty years ago. I See Your Face Before Me was written by Howard Dietz and Arthur Schwartz in and it originally featured in the 1937 Broadway musical Between the Devil. It was first performed by Natalie Rives. In the show there is a little bit of fictional banter about a woman that both Frank and Dean are interested in and Frank says that he will 'woo her with a song' and that performance is featured below.